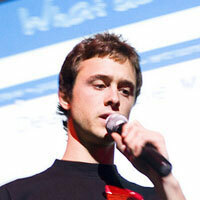 Tarik is the co-founder and CEO of Mojo. Tarik was born with the engineer and entrepreneur bug. Hacking circuit boards at age 8, by the time he reached 14, he had built a web hosting company. Two years in college, Tarik built the first teacher review website in France and Europe, which grew viraly amid controversy. Tarik studied abroad in England, Mexico and China before graduating from EFREI (Paris) with a Masters in Computer Science (at age 20). Tarik joined the Bay Area in late 2007 to work on cutting-edge consumer web technology. 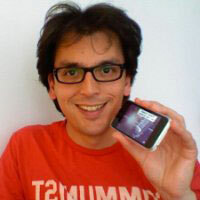 Carlo is the founder and CEO of Concept. Carlo Alberto is an enterpreneur with a passion for technology who is in the process of founding his third enterprise. Since 2004 Carlo Alberto has increasingly focused on the development of a software aimed at gathering and analyzing feedback. Today, myK is mentioned among the most important Enterprise Feedback Management (EFM) solutions, the only one developed in Southern Europe. myk is the only EFM solution which allows to analyze internal as well as external data, eventually crossing one with the other “within a click”. myK is the only software which complies with the market standards for the integration with enterprise architecture. 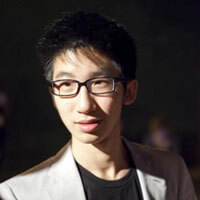 Yu-kai is the Founder of RewardMe. He is also a Social Media Speaker/Lecturer at places like Stanford, Google, Draper Richards Retreat, Cina.org, and the Internet Marketing Conference. Yu-kai was selected as one of the 50 young leaders of California to attend Arnold Schwarzenegger's Governor's Global Climate Summit. His startup was also rated on Mashable as one of the Top 10 Social Networks for Gen-Ys as well as being first place in Jason Calacanis' This Week In Startups - LA and was interviewed on the show. Yu-kai is also a board advisor for a number of organizations and startup companies in California and Israel. 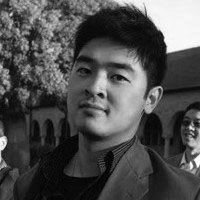 Yu-kai graduated with a degree in International Economics from UCLA, specializing in China's Green Economy. 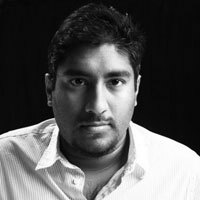 Vinny Lingham is the CEO of Web 2.0 startup, Yola. 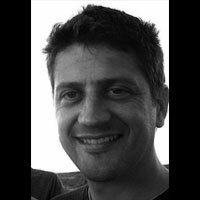 He is also the co-founder of SiliconCape.com, an NGO based in South Africa, that aims to turn the Cape Town region into a Technology Hub. Yola has raised a total of $25m in Venture Capital and has offices in San Francisco & Cape Town. Vinny lives and works in San Francisco. Vinny was previously the founder & CEO of global search marketing experts, incuBeta and its subsidiary, Clicks2Customers. incuBeta’s principal business is Clicks2Customers, with offices in the US, UK & Cape Town. Ronald is founder and CEO of Yobble. Ronald love to create gadgets and electronic toys that make the world a (slightly) more fun place. Ronald created Amazon's #1 best selling music toys that received the perfect 5/5 average user rating. He also created the innovative iPhone beatbox app that Apple co-founder Steve Wozniak demonstrated on YouTube. 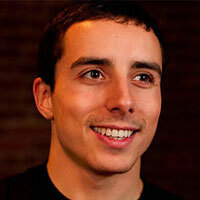 Augusto is the CEO of Mashape, the first-ever marketplace for APIs. Augusto is a passionate guy about every hard technology that can have an impact on people's life. Usually he claims to transform the world in one click, but thanks to the co-founders, they put him down to the ground when he is dreaming too much. During his free time Augusto can be found 3000 miles above Napa Valley, while he is Skydiving. Ben is the founder of The Rainmakers, a start-up incubator, as well as the OE2 Club, a club for outstanding immigrant and expat professionals. Ben is one of the leading entrepreneurs in the UK, with well over a decade of business experience and nearly 15 years in technology he is considered a leading voice on technology and innovation. He is in the media spotlight for both his expertise and his pro social work which covers everything from developing new environmental technologies to appearing on television shows such as The Secret Millionaire. Brian is the founder of kiip (pronounced "keep"), a stealth startup focused on mobile in-game advertising, backed by True Ventures. Very recently, Techcrunch and the Wall Street Journal called him the "youngest person to ever receive funding by a venture capital firm". Last year, at only 18-years-old, he was an early Bachelors of Commerce graduate from the University of British Columbia, after skipping four grades in elementary and high school. He was recently lauded in Mashable as one of The Top 5 Young Entrepreneurs to Watch", and the Vancouver Sun called him "a budding internet visionary". He was also recently a recipient of the Top 20 Under 20 awards in all of Canada, and the Impact Young Entrepreneur of the Year award. He is also the youngest charter member of the C100, an invitation only Silicon Valley based organization of top Canadian entrepreneurs, executives, and venture capitalists.